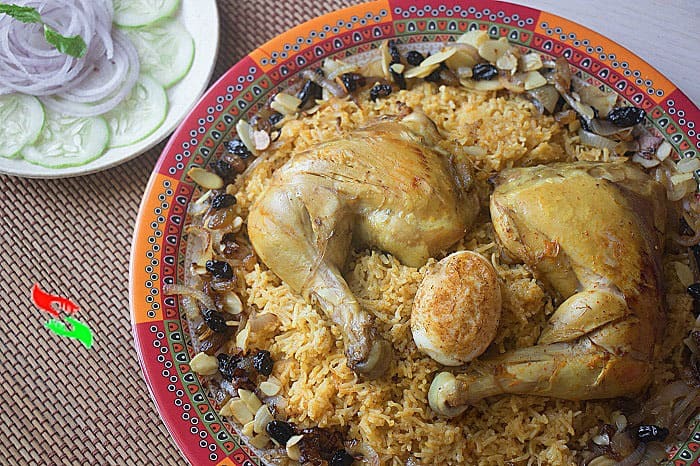 Iraqi Tbit/ Boiled chicken and rice recipe is can be a great unique iftar or Ramadan Rice Dish option like biryani or any pulav Dish. It tastes almost like Chicken biriyani. You can make the dish in Ramadan as an Iftari or you can make this aromatic rice dish in any family get together or any dinner party.Tbit/T’beet meaning is “Overnight”. Its an Iraqi version of Jewish Shabbath meal overnight stew. In Jewish law, Shabbat meal is very traditional to them. Traditionally Shabbat has three meals, like Friday night, Sunday lunch and a Sunday late afternoon meal. Friday night Shabbat meal is most popular with non-orthodox Jewish people. Traditional Shabbat meal includes lots of jews bread dish and wines. Jews Bread “Challah” is a very popular Shabbat meal bread among them. In Jewish law, This meal should serve just after few minutes of sunset on Friday. And everyone should pray to god before start their Shabbat meal. According to Jewish law cooking and eating is prohibited(fasting) on the day of Shabbat meal. So they prepare their meals on the night before the Shabbat meal. As mentioned before the meaning of Tbit/ T’beet Rice Dish is overnight. And This Delicious rice dish belongs to the Jewish community. Iraqi Jewish community use to make this recipe as their Sabbath meal to maintain their Jewish tradition. This Wonderful chicken flavoured rice dish cooked in very low-temperature. Or make the dish in the very low flame so that it can be cooked in overnight. Iraqi Tbit is so different from Jewish overnight chicken stew. Because in Iraq They use Baharat spices to make this dish. Iraqi people always use Baharat spice mix to rub the whole chicken when they make Tbit Rice and they always use Rice and boiled egg to stuffed the chicken. And they cook the whole thing in very low wood flame overnight. Why Tbit/T’beet Dish Boiled chicken and rice recipe is similar to chicken biryani Indian food? Biryani is an Aromatic one-pot Casserole kind of rice Dish and Tbit/T’beet Is more like boiled chicken and rice casserole dish. 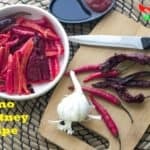 In India, people use biryani spice mix to make any Biryani(Veg and Non-veg) recipe And in Iraq, they use a spice mix called “Baharat” to make their rice and chicken dish Tbit/T’beet. Making of Indian Biryani dish also follow The slow cooking process like the Iraqi people use to make the Tbit/T’beet Dish. The only one difference between two dishes Iraqi Rice dish Tbit takes much longer time to cook properly than Indian aromatic rice dish The Biryani. As the process of making both two dishes are more or less the same. But I choose to follow the Indian Biryani making process to prepare the Tbit/T’beet Recipe. 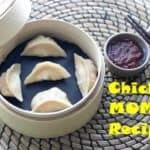 Hence you can prepare the recipe easily in a short time in your kitchen. Also, note that sometimes the cooking time depends on the quality of rice we use in the recipe. As the variety of rice grains are available in the market in different countries, choosing the right quality rice is important for the recipe. 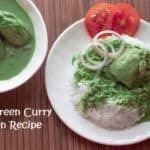 I suggest always to go with your Known Rice Brands to avoid any mess as Rice is the main base Ingredient of this recipe. They make this dish overnight. But I don’t much time to cook a dish for 18 to 20 hours or for overnight. So I would share how to prepare the dish with the same taste in a much shorter period. 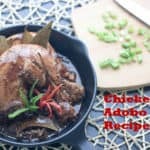 My suggestion if you really want to do this recipe in the traditional way you can use a slow cooker to make this dish. Or you can use a clay pot in low wood flame to make this rice dish perfectly. But if you want to get the same taste of this dish does this recipe in less time. I will recommend you to follow my recipe. Though this is a traditional Boiled chicken and rice recipe a jews recipe, all others can enjoy the same in their own way as food has no barrier of religion or community. So welcome your guests and prepare the recipe to enjoy the dish even when you are not in a festive mood. Boiled chicken and rice recipe Iraqi Tbit is a very Easy Recipe.IT can a great substitute of Biryani in Iftar or Ramadan Party. 4 Tbsp Clarified Butter or Ghee or extra lite olive oil Or you can use olive oil or butter that's up-to you. Take big soup pot. Make the pot hot enough. Now put 4 Tbsp Clarified Butter or Ghee or extra lite olive oil into it and make it hot too. Just then put chopped onion and tomato puree to the hot soup pot. Fry all the things for few minutes until the onions turn into a soft mash like of consistency. just then add Arabian spice mix Bharat, chopped garlic, sweet paprika and black pepper powder to it. Fry all the ingredients in low flame for 5 minutes add water if the spices turn to burn. Just after 5 Minutes add water to the pot and wait for the few minutes water start to boil. Once the boils come add 1 Tbsp salt and 1/2Tsp sugar to it and put the whole chicken into the pot. Now close the pot for 10 minutes with a lid. After 10 minutes open the lid and turn the chicken to cook properly from the other side. Again close the lid for 10 Minutes. After 10 minutes open the lid and remove the chiken from the pot and keep it asside. In the rest of the chicken, stock water put 1 Tbsp salt and 1/2 Tsp sugar, 2 Tbsp rose water and cleaned and soaked white basmati rice to cook. Cook the rice in a very low flame for another 10-20 minutes or until the rice cook properly. Once the rice cooked served the rice on a big plate with the whole chicken or as like me cut the chicken into many pieces and serve top of the rice. And decorate the dish with sauteed black currants, sultanas, vermicelli, onion slices and almonds and boiled fried eggs to look tempting toward your friends.